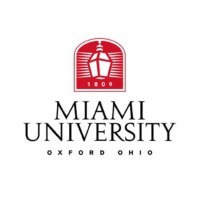 Review: Miami University (informally known as Miami, Miami U, MU, and Miami of Ohio) is a coeducational public research university located in Oxford, Ohio, United States. Founded in 1809, it is the 10th oldest public university in the United States and the second oldest in Ohio. Miami's Division I sports teams are called the RedHawks. They compete in the Mid-American Conference in all sports except ice hockey, in which the team is part of the Central Collegiate Hockey Association. Miami is nicknamed the "Cradle of Coaches" for the star-quality coaches that have left its football program. Its men's basketball team has appeared in 16 NCAA basketball championships, reaching the Sweet Sixteen four times. Miami's ice hockey team finished runner-up in the 2009 national championship game. Location & access map for "Miami University, Oxford"